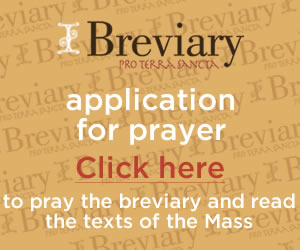 Finally and most importantly Our Lady of Fatima teaches us how to pray. With both her arms and her Immaculate Heart extended to mankind, in one instant, the image above the basilica spoke of a three-fold movement of prayer: adoration, personal offering and thanksgiving, and supplication. More specifically, she helped me to understand the message of Fatima and that the prayers she requested of the children were not to be taken lightly. Our Lady’s simple requests, given to three shepherd children before the outbreak of World War I and World War II, are even more relevant and pressing today. To establish peace in the world, Our Lady specifically asked Sister Lucia in a vision – to ask the pope, in union with the bishops of the world, to consecrate Russia to her Immaculate Heart. According to a letter written by Sister Lucia on November 8, 1989, the consecration was completed by Pope John Paul the II on March 25, 1984 and accepted by Our Lady (Fatima in Lucia’s Own Words, Part I, 204). However, in 1929, Sister Lucia explains that though the conversion of Russia is certain and that the consecration would be complete, the consecration would happen very late; the world in the meantime – would go far, far astray. She says, “Our Lord complained to me, saying: ‘They did not wish to heed my request! Like the King of France [In 1689, Louis XIV was asked by Saint Margaret Mary to consecrate France to the Sacred Heart of Jesus ], they will repent and do it, but it will be late” (Fatima in Lucia’s Own Words Part I, 196). The countless upheaval of human lives by violence and the rising hatred in our present time, make it evident that the consecration was indeed late in coming; yet the answer to the confusions of today’s world can be found Our Lady’s two simple requests. Admittedly, it is easy to lose the essence of Fatima in questions with answers that lead to nowhere. What do the Three Secrets reveal about the end of time? Is the apocalypse close by? Did the consecration of Russia to the Immaculate Heart really happen? Yet, everything that is needed is contained in Our Lady’s requests, and the three Fatima children knew it. After the 1913 apparitions in Fatima, Francisco, Jacinta, and Lucia spent every moment of their lives doing two things: they prayed the rosary for peace and they offered spiritual sacrifices for the conversion of unbelievers. I don’t recall ever learning how to pray the rosary, but I always knew how to pray it. As a child in the Philippines, I wore the rosary around my neck and prayed it into the late hours of the night to ward off spirits. When my husband and I moved to California with our children, I would pray the rosary as an act of nostalgia, and as a way of keeping the bond between me and my relatives on the east coast alive. Using St. Louis de Montfort’s formula I consecrated my life to Our Lady, and slowly learned to pray through the decades as instructed by St. Teresa of Avila, as a means of mentally walking with Jesus and Mary. As the years progressed, I found myself neglecting the daily rosary, though I prayed it regularly. But in Fatima, our Lady reminded me again to pray the rosary daily and specifically for peace: in my heart, in my husband and in each of my children, in America, among our leaders, in our priests, among refugees, among warring factions, in Israel and the Middle East…each decade of each mystery of the rosary could be offered for a different need for peace. Secondly, our Lady asked the children to offer spiritual sacrifices for the conversion of people who do not believe in her Son and as an act of reparation for the offenses against Him. Holiness is not about being ‘spiritual’ but about being completely incarnate in the world, as Our Lady and Jesus were. This understanding came clearly to me on our last day in Fatima. The group had just sat through a Mass commemorating the 100th Anniversary of the Fatima apparitions. The experience was powerful, supernatural, and difficult at the same time. We sat in the open heat and I had to regularly make sure that my mom was drinking enough water or had a fan to cool herself. When the heat got overwhelming, I showed her how to drape the white handkerchief we would later wave at the end of the Mass, over her head so that it would shade her face. Though she usually easily gets headaches, she made it through three hours with very little trouble. By the end of the Mass, I was feeling elated, unable and not wanting to speak to anyone. All I wanted to do was listen to the bells toll and withdraw into my hidden place with God, as I filmed everything around me. Just as I finished circling the plaza with the camera to focus on the bells and the statue of Our Lady on the Basilica, my mother started calling me. At first I ignored her, wanting to keep my interior peace untouched for as long as possible. I saw the white tail of handkerchief that was draped over her head just minutes before, flying through the camera’s view. She was swinging it back and forth to get my attention. I sighed, offered my impatience to Our Lady’s Immaculate Heart, said a quick good-bye to the image of Our Lady on the Basilica, turned off my camera, and walked toward my mother. The heat had affected her blood pressure and she needed to get back to our room immediately. Every moment of our daily life is an opportunity to make a spiritual sacrifice of love. I was being more faithful in attending to my mother’s needs and spiritually offering my will, than in feeling spiritually renewed and believing that I was in contact with God. The more authentic experiences of God are through our faithfulness in our relationships in our daily lives. I later learned that the statue of Our Lady that mesmerized me was one that Sister Lucia oversaw meticulously and with constant attention. In Visions of Fatima (2017), Father Thomas McGlynn, explains how Sister Lucia would even make changes herself on the priest-artist’s model just so every detail would be as accurate as possible, as she had remembered it. No wonder the image above the Basilica spoke to me so powerfully.